On viewing for the first time the minimal artistic cover for Licht, I was expecting academic or avant garde experimental music. Instead I was pleasantly surprised to discover that Licht continues Timm Brockmann’s and Franz Bargmann’s Krautrock explorations that began in Berlin as the Krautrock guerilla band Camera. In 2013 Bargmann left Camera to join La Düsseldorf’s drummer Hans Lampe as Michael Rother’s live back up band, and Brockmann left in 2014 to focus on solo work. 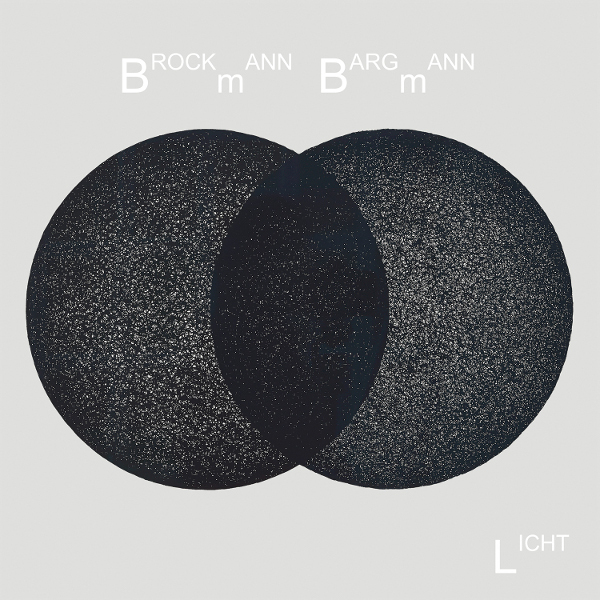 Then a bit later Bargmann (guitars) and Brockmann (keyboards) decided to record Licht to explore different sounds through improvisation on analog synthesizers, pianos, guitars, and a drum computer. In the studio they rearranged pre-recorded music, layered vertically or side-by-side with their in-studio improvs. Some of the twelve tracks are sequencer-driven with repeated phrases. Others are abstract ambient explorations. It isn’t until we get to track four “Horizont” that we begin to notice the Krautrock influence of Michael Rother. “Sylvester” and “Spektrum” take them even further into Neu! and Harmonia territory. “Muezzin” is a bit different as it is purely rhythm wth a Muslim call to worship drifting in and out. But then they continue to explore other directions as well, such as the 10-minute “Schatten” built on tribal drums and guitar drones, the beautiful ambient “Meer,” the fuzzed and gated sounds of “Puls,” and the quiet piano and guitar closer “Hyper.” There is not a dull moment on this disc and Licht is sure to please any Krautrock lover.